Raminta Rudzionyte, Colin Maggs and Brandon Alexander in Casanova, Wolfgang Amadeus Mozart, Antonio Vivaldi. Choreography by David Sonnenbluck. Shot on 10.05.2014 at Jõhvi Balletifestival 2014 Gala. Raminta Rudzionyte is a soloist with Vanemuine Ballet, Estonia. In 2006 Raminta graduated from the Vilnius Ballet School in Lithuania. Since 2006 she is with Theatre Vanemuine ballet company. Colin Thomas Maggs is a soloist with Vanemuine Ballet. He has born on 1982 in Great Britain. Colin was trained 1999 – 2001 in English National Ballet School and 2001 – 2002 Hammond Upper School. He started dancing career with 2001 English National Ballet Company; 2005 – 2006 European Ballet Company; since 2006 Theatre Vanemuine, ballet artist. Brandon Alexander is a soloist with Vanemuine Ballet, Estonia. Brandon was born September 12, 1986 in USA. 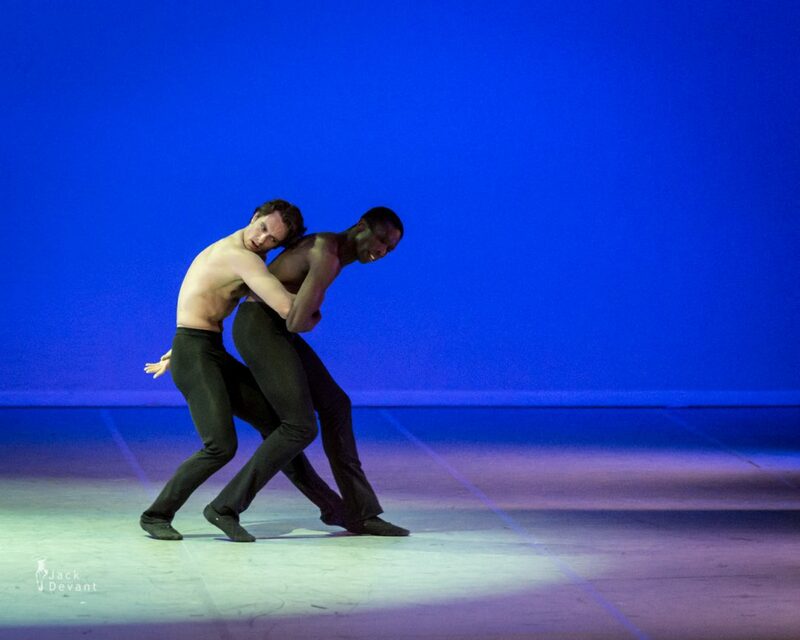 He was trained by Lori Amare (1998-1999) and Houston Ballet Ben Stevenson Academy (1999-2006 Full Scholarship). Starting from 2012 he is with Vanemuine Ballet. David Sonnenbluck is currently artistic director and choreographer of Ballet Brussels and founder of “The David Sonnenbluck Ballet Company.” He has danced with Ballet Royal de Wallonie and at Victor Ullate Ballet Company in Madrid as soloist. Photos by Jack Devant © with kind permission of the National Ballet of Ukraine, Eesti Kontsert, Jõhvi Konserdimaja, special thanks to Piia Tamm and Lauri Aav.